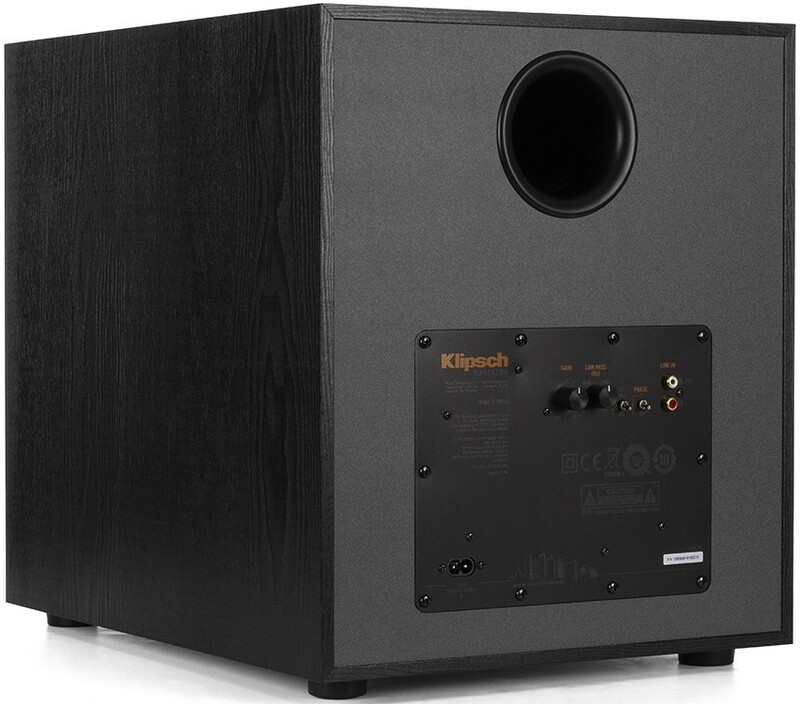 R-120SW is part of Klipsch's Reference Series of subwoofers, featuring a 12" front-firing IMG driver and all-digital amplifier. 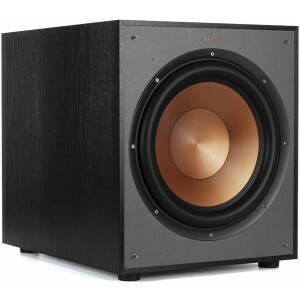 Klipsch R-120SW subwoofer is designed to deliver awe-inspiring bass for your movies and music. 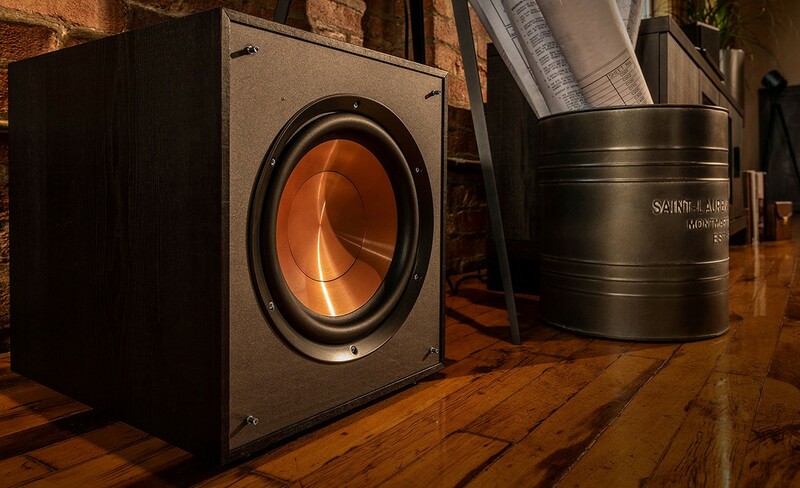 A 400 Watt all-digital amplifier powering a front-firing spun-copper IMG woofer produces a clean, deep bass response for your home audio system. The spun copper Injection Moulded Graphite (IMG) woofers are exceptionally light while being extremely rigid providing remarkable low frequency response, with minimal cone breakup and distortion. A built-in, all-digital amplifier delivers ample power with high efficiency and true-to-source accuracy in reproduction ensuring maximum efficiency for maximum output, detail and power. The front-firing high-performance driver provides deep bass and room placement flexibility. 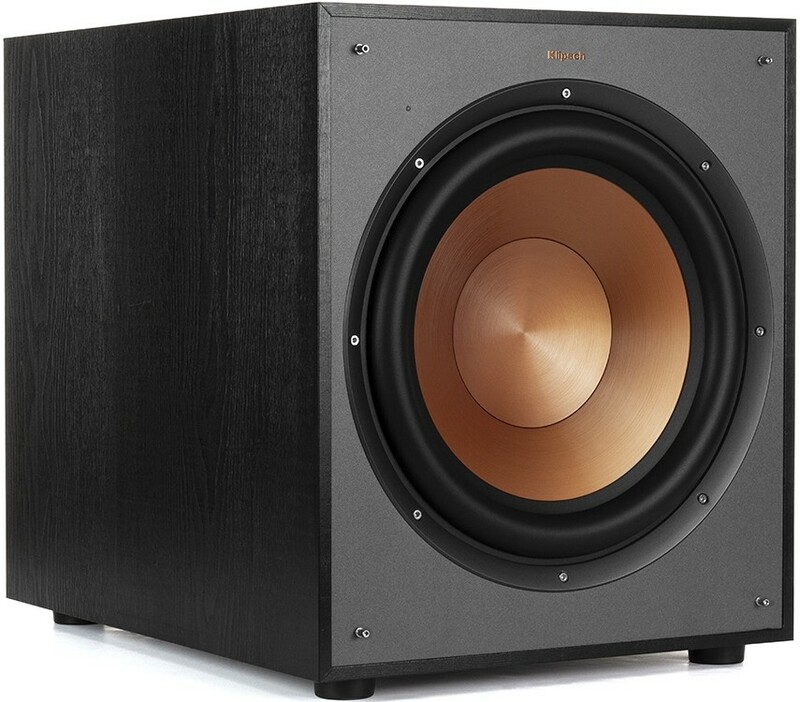 The low-pass crossover and phase control ensures the subwoofer’s low-frequency tones blend with other Klipsch speakers and establish the ideal level of bass for your room. Line/LFE inputs ensure compatibility with home theatre receivers. The MDF cabinet with scratch-resistant, textured wood grain vinyl gives a stylish aesthetic with absolute durability that results in a seamless integration into any décor. The front-mounted LED power indicator shows when the system is on or off and the low profile grille adds a refined look that is acoustically transparent.